University of Edinburgh academic breadth and diversity make Edinburgh a vibrant and stimulating environment for postgraduate study, and the possibilities for interdisciplinary exchange and collaboration are vast. 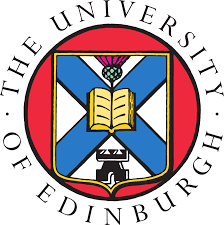 The University of Edinburgh, UK is offering scholarships to International students who wants to undergo a masters program in Biomedical sciences. Each scholarship will have a value of £2,000 and will be tenable for one academic year. - Applicants must be a International students who are citizens of one of the countries on the DAC list of ODA recipients. - Applicants must have applied or applying to University of Edinburgh. - Applicants must have excellent academic grades. Interested applicants can apply for the scholarship program through this link. The application deadline for this scholarship is on 30th May 2017. Read About Havard College Here.